To The Top! Yes, your favorite coach on the coast is an Eagle fan. I attended Southern Miss for two years before transferring to The University of New Orleans, so I cheer for the Eagles whenever I get the chance. Coach Mathews was intrigued by the distance signees that Southern Miss has landed and asked me to follow up with these four young men: Austin Bourne from Brandon HS, Preston Burks from Hernando HS, Dylan Allen from Mooreville HS, and Dylan Evans from Heritage HS in Texas. Coach Mathews is calling them the Southern Four. His coach, Scott Huskey says, "Austin is an excellent team leader, he is a great role model for his team mates, and a true student of the sport of track. AB: My GPA is a 4.0 and I have a 30 on the ACT. DP: Describe your visit to Southern Miss. AB: On my unofficial visit, I went to a football game and went to eat with some of the team members. It was a pretty quick visit, but I started to get a feel for the team. On the official visit, my Dad and I went down to Hattiesburg and met up with Coach Aaron Kindt and the other distance recruits and their families which included Dylan Evans and Preston Burks. After we met up, the parents stayed behind and spoke with Coach Kindt while the guys went and took a tour of campus led by Patton Little, a former Starkville High School and current USM runner. It was game-day of the homecoming football game so after seeing campus, we met the rest of the track team at a tailgate for a meal. After the meal, we had individual meetings with head track and field coach, Jon Stuart. After this, it was time to head to the football game. We were able to go down to the field during pre-game warmup and as the team was heading onto the field. We stayed until around halftime of the game and then headed to dinner with some of the members of the girls' cross country team. We had a great time at dinner and this was when I got to see the closeness of the distance group. After dinner, the recruits and Patton went to get some ice cream and then headed back to the hotel. The next morning, we did a quick tour of campus with Coach Kindt, saw the track, took some pictures, and then said our goodbyes. It was a really great visit and was ultimately the deciding factor in my decision to go to Southern Miss. DP: We've heard that you hit it off with some of the other recruits on your visit, tell us about that. I'm referring to the Southern 4 of Dylan Allen, Dylan Evans, Austin Bourne, and Preston Banks. AB: The visit was a really great time to hang out and get to know better the guys that I was being recruited with. I had known Preston through racing each other in 6A for years, and it is exciting to know that someone I have competed against for so long will soon be my teammate. I got to meet Dylan Evans who was from Texas and has a super fast 800m time and is a super great guy! All three of us really got along well and I could tell that they were super motivated guys who were going to work hard. 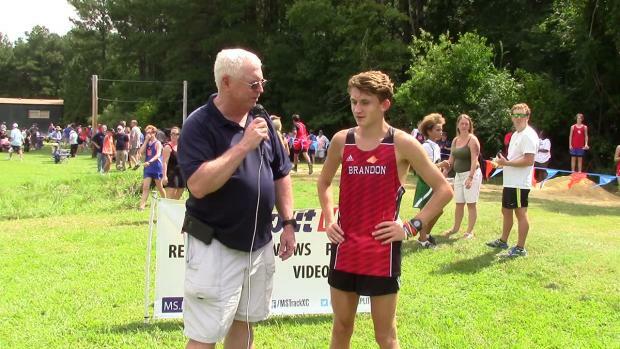 Dylan Allen, another crazy fast Mississippi runner, wasn't with us during the visit but in the time since signing we have been texting each other and are both super excited to be teammates and to get to be Golden Eagles together. DP: What are you most looking forward to about your future career as a Golden Eagle? AB: I'm excited for so much as a Golden Eagle, but I think one of the things that I'm really excited about is being able to train around so many guys who have run incredible times. I can't wait to see how we push each other. AB: I really enjoy repeat 400s/200s. They're tough but also it's super fun to go fast. AB: Tempo runs. They are just slow enough to be manageable but fast enough to really hurt. 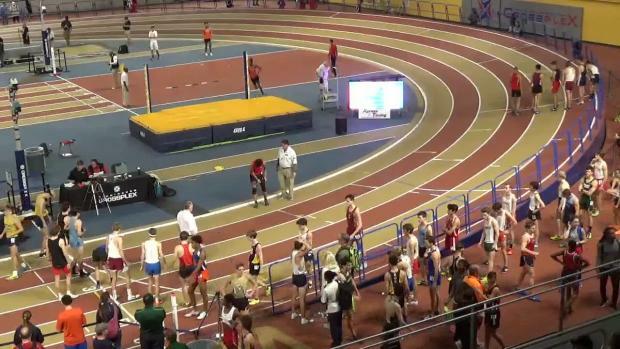 DP: What events do you think they'll have you run in track as a freshman? AB: I'm really not sure. I know that Coach Kindt really talked a lot about the Distance Medley Relay during indoor season so I'm really excited for that. But for individual events, I would probably say the Mile/3000m during indoor and 1500m/5000m for outdoor. I'm up to do anything they need me to however. AB: There was a great quote by Steve Prefontaine that starts "You have to wonder at times what you're doing out there. Over the years, I've given myself a thousand reasons to keep running, but it always comes back to where it started." I think this quote tells a good story, there's a lot of things that have motivated me to continually pursue running but I think it all stems back to where the love of running originated for me. My grandfather was the one who got me started, and since he passed away 7 years ago, I haven't stopped. AB: I think about a lot of things when I run. Sometimes it's just whatever random thoughts that come into my head but other times, especially during harder workouts, I envision races. AB: Oh, yes. I typically talk with my teammates and just relax until about 30-40 minutes until race time. At this time, I always do a warm up lap by myself while listening to some old Eminem music. After that I join back up with my teammates and stay loose until race time. I also only race in a certain pair of socks and triple knot my spikes. DP: Jersey, aka Singlet, tucked or untucked? DP: Ok, that's new. Do you have a favorite meal for the night before a race? AB: Pretty much any kind of Pasta and some breadsticks. AB: Sadly, yes. I think about how much time I have left until I get out and how long it will take until my legs go numb. I usually have some music going or read a book to help it get over with faster. AB: One of the biggest lessons that I've learned by training and being a runner is dedication. It takes lots of time and effort to achieve your goals in this sport and often times the training is not glorious. But I've learned that if you stick it out, the rewards are incredible. DP: Do you have a rival runner? AB: I wouldn't say that I have any specific rivals. 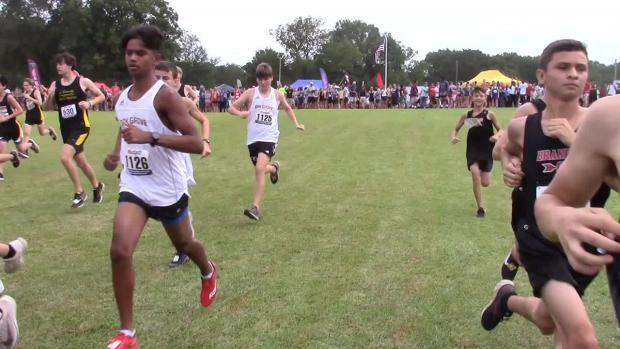 I'm pretty competitive with all of the 6A runners because we race each other the most. But I really have made some good friendships with a lot of the guys I race against. AB: I usually just do a short shakeout run and stretch on the day after the race. DP: How do you intend to balance academics and athletics in college? AB: I plan on doing the same thing I did in high school. I'm committed to both my sport and my grades very much so I plan to work hard in both areas. 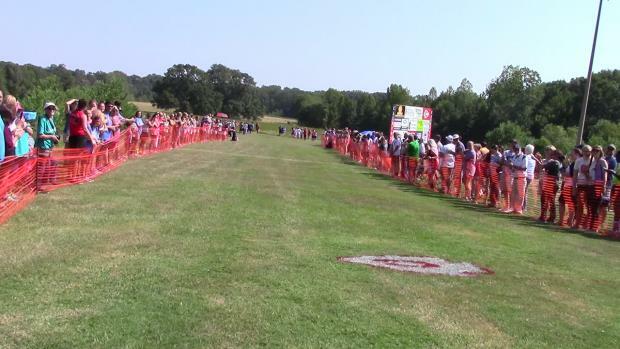 AB: One time at Choctaw Trails, I saw 5 deer cross in front of me during a race. AB: It would be hard to pick just one biggest fan. All of my family and friends have been extremely supportive of my running over the years. DP: What advice would you like to share with younger runners just starting out their high school careers? AB: I would say to work hard, enjoy what you do, and cherish every moment of it. If you do all of that, you'll have a successful career. 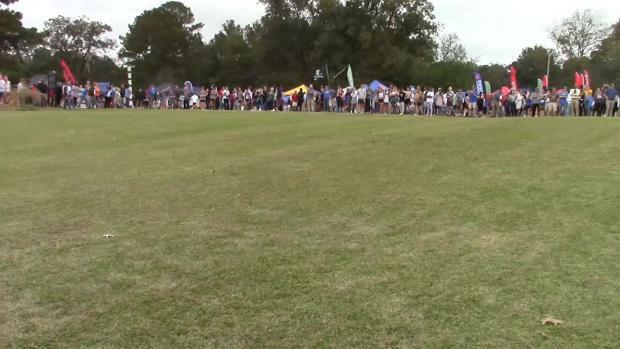 DP: Is there anything else you want to share with the MileSplit Community? 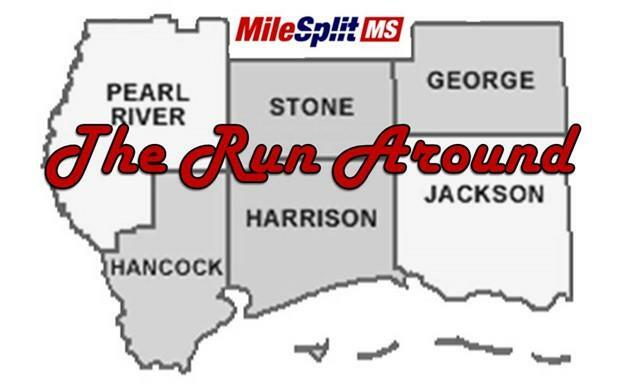 AB: I would just like to say that it has been an honor to compete in Mississippi and would like to thank all of the track/xc gurus in Mississippi who follow the sport and make MS MileSplit a reality.